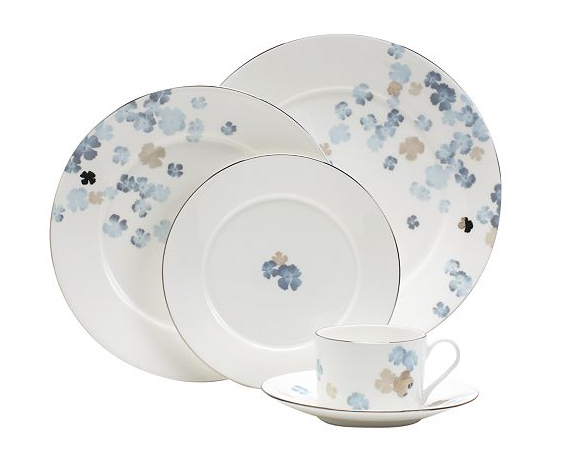 New from the Martha Stewart Collection at Macys are these beautiful sets of fine bone china. Each set is dishwasher safe. Of these four, the Water Flower and the Skylands Blue collections are my favourite. I tend to favour tableware that is only slightly patterned or not patterned at all. I have been known to get a bit 'wild' when it comes to dessert plates and serving pieces, but for the main settings I like to keep things simple. The Water Flower pattern is my favourite. I love the subtle colours of light blue and a soft putty grey in the platinum-tinted petals. The asymmetry of the print helps the pattern from feeling too formal. Each piece is rimmed with polished platinum banding. 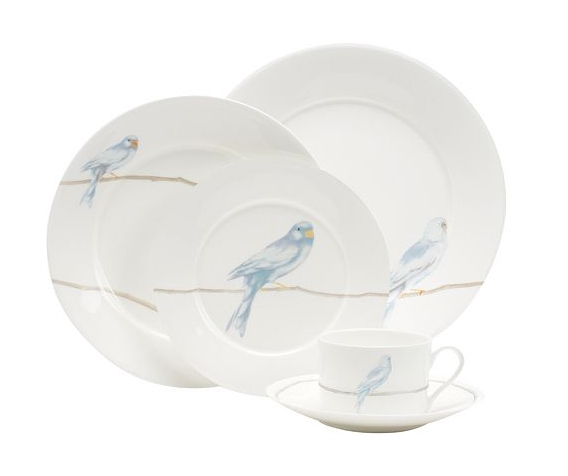 Pretty blue birds on bare branches give a natural and whimsical touch to the Sky Song pattern. 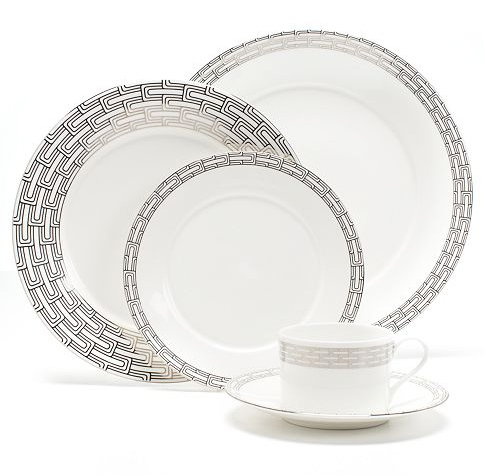 This set is microwave safe, making it perfect for a more casual setting. 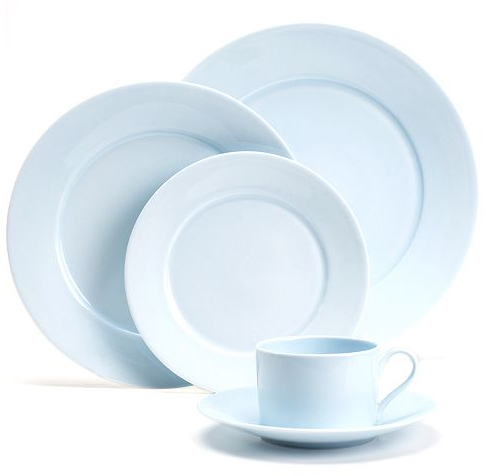 The Skylands Blue collection of fine bone china was inspired by a cloudless Maine sky: simple, elegant, perfect. Microwave safe. The Hightown pattern is embellished with a geometric arrangement of polished platinum for a sophisticated urban look. 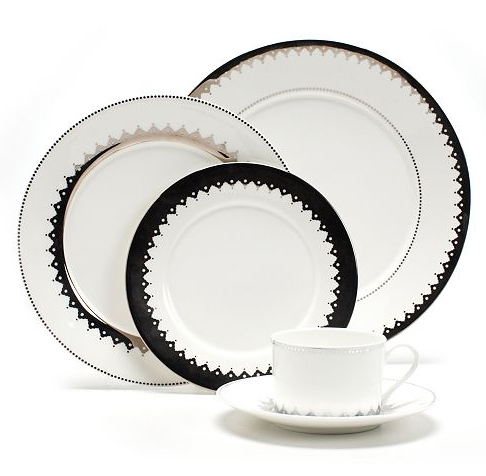 Glistening bone china is adorned with a fanciful platinum fringe in the Handkerchief pattern.